I am 27 years old, have been for decades, and am not budging. Yet, I find myself gradually returning to my roots — before age 27 — in the use of safety razors. A long time ago I used the standard Gillette double edge razors available — Superspeeds, adjustables — and single edge razors — GEM and Ever-Ready. I distinctly recall buying a Fatboy from the local pharmacy in San Francisco. The razor was sealed in the typical razor package, and if I remember, it cost less the $2.00. Fatboy sealed in its package, brand new, and priced under $2.00. You wish . . .
Later, when life got in the way, I switched to the usual cartridge razors and injectors. In the jungles of Vietnam, my razor was the standard disposable Bic that came in the sundry packages that also contained C-Rations, toilet paper, mosquito repellent, and who knows what else to make life comfortable — under the circumstances. 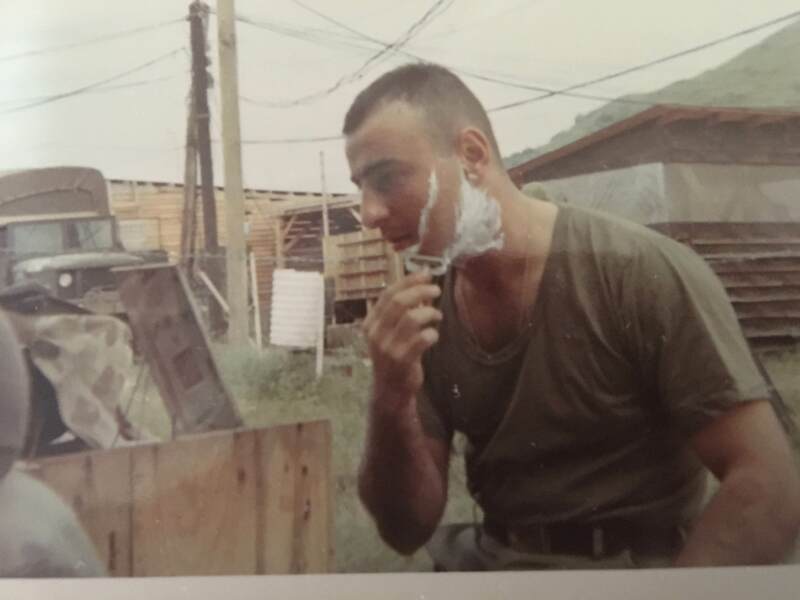 Shaving with canteen water in the steel helmet, some unpleasant canned goo for shave cream and a rough beard scraper for a razor wasn't fun — but you do the best you can. That's when I promised that if I got out alive, I would never let that stuff touch my face again. And I did not — for the most part. Later I even committed the sin of using an electric razor for a month or so. What a shaving abomination that was. OY! And so the years went by and the great Gillette, GEM and Every-Ready razors became more difficult to find, while a parade of cartridge razors swamped the shaving world: one blade, two, three, four, and these days five blades. "Five blades, man," said the guy shaving at the health club locker room sink next to me. "Well, I'll stick with what the old timers used," I said, palm stropping a Wade & Butcher. "Those guys didn't know what they were missing," he said, finishing his shave in about 90 seconds. "Maybe they were lucky," I said, trying to remain as diplomatic as possible. By then I was shaving with the straight razor regularly, something I had wanted to do since my early teens and never got around to doing so. In the following years, slowly the great Gillettes found their way back into my humble shave den. Then it was a parade modern double edge razors — Edwin Jagger, Muhle, Merkur and some others followed by a wave of modern stainless steel razors — Weber, iKon, ATT, Wolfman, BBS-1, Timeless, Mamba and others. In time, the old Gillettes, GEM and Every-Ready razors began dominating the shave den. Then the modern razors started disappearing: the standard models and the stainless. Weber, iKon, ATT, Wolfman and BBS are gone. I do not miss them, except for my set of Webers. In the past month or so, I have hardly used my three Timeless razors. Also my stainless steel Mamba, a razor I really like. I think soon only one Timeless will remain in the shave den in addition to the Mamba. I had forgotten what sweet shaves the great Gillettes, the GEMs and the Ever-Readys gave me. There is something about these razors that makes them exceptional, not only their balance in the hand from where I hold them, and their mild to mid-aggressive and comfortable shaves, but also the quality with which they were built. Gentlemen, that was true American workmanship. Some physical difficulties in my shoulders, plus arthritis in my hands, limit my straight razor shaves to only Sundays. The stainless steel razors are proving too heavy for my hands. The rest of the time I have started using the GEMs and the Gillettes for my daily shaves. Love both. I have shaved with the Sabre L2 several times, but it's a wee bit too much for my ultra sensitive skin, and too heavy for my hads. And so, still at age 27, I don't have to rely on memory of my vintage razors of years ago. They're all here, in excellent shape, and a joy to shave with. Gentlemen, do you find yourselves at such a crossroad? Nice essay Obie. First of all, thank you for your service and Happy (? is that the right thing to say?) Veteran's Day. Great story Obie. I missed Vietnam only because I got a 3A deferment from the draft ( my Mom was in the hospital with TB). I am so happy you made it through to tell this story. The old razors were great but those blue blades were horrible. I loved using the injector razors only because of the mechanical loading and unloading of the blades. Todays razors and blades are much better then what we had years ago. However, Gillette's machining (and equipment) beats anything that is available today including CNC. (11-12-2017, 09:49 AM)Obie Wrote: "Five blades, man," said the guy shaving at the health club locker room sink next to me. The one thing I miss about the old M1-style helmet I got when I joined up is the ability to use it as a wash basin or a seat... the kevlar thing I got now weights a fraction, but is only good for keeping my brain-box safe. Great essay Obie! Thank you for sharing. Thanks for sharing! Great read!!! I prefer modern razors, but every time I read something like this I decide to give one of my old Gillettes a try, so I decided to take my prewar tech with me on my trip this week. Hopefully I'll find a new appreciation other than the fact that it's been around so long. At the very least, I'll be a lot less stressed knowing that I can replace it a lot cheaper than my ATT that I usually carry if something were to happen. Well done, Obie. I hope your physical difficulties are only short term and that you return to normal functioning very soon. (11-13-2017, 08:02 PM)chazt Wrote: Well done, Obie. I hope your physical difficulties are only short term and that you return to normal functioning very soon. Charlie, my friend, you are kind. Thank you. Thanks Obie - funny we seem to always end up back at our roots. (11-14-2017, 04:51 AM)Cincinnatus Wrote: Thanks Obie - funny we seem to always end up back at our roots. Indeed, Mike, there is something to that. Thanks for your service and for sharing....great story!!! 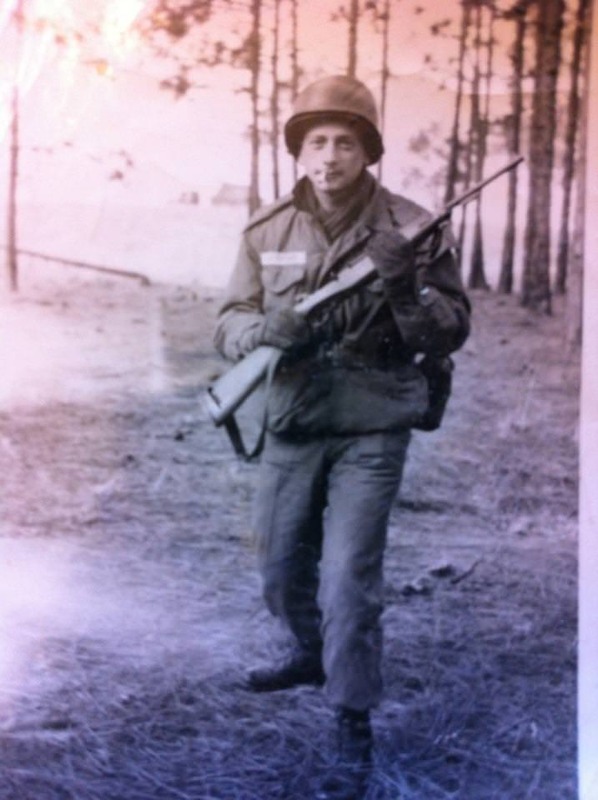 Another thanks for your service and sharing your great story. I'm with you, my 30's Gillette NEW Deluxe can keep up with just about any modern razor in my den and the shave experience is something more special to me. Young Viet Nam kids. I was last of the brown boot army. Korea 1959. Peacetime but definitely not a safe place to be. Gilette adjustable and Lucky Strikes As I remember. My job landmine removal, As I remember we found 1 mine for every 10 Kimchee pots. What profound memories. With a certain age comes the flood of reflections. How true that is also in the world of shaving. The legendary Gillettes, GEMs and Ever-Readies were built to work under all conditions, to last forever, and looking around the shaving world, one sees thousands of them still floating around. Looking back, I think I must have used just about every Gillette, GEM and Ever-Ready razor made. The only Gillette I have never owned, or even tried, is the Gillette Toggle. I would love to have one. A good friend has one in near mint condition and it is a razor with unusual design. Impressive. It's a reflection of American genius in design and workmanship that these sweet razors of the bygone years uphold. Stay well and have a Happy New Year. I hear you Obie.... I'm 27 too ..... I have stopped buying the modern razors with the last being the Black light weight General, a great razor. But to be honest I like my Gem's, Gillette's the best.... BBS is BBS and I get that with my 1912 Gem... so carry on. Thanks for your thoughts. With the GEMs, I have been a wee bit greedy with the various models: two Clog-Pruf, two Flying Wing and two Pushbutton. These are my favorites of the GEM series, although, the G-Bar is not far behind. I might acquire another G-Bar, to be fair. See, I look at it this way: At age 27, I plan to live into the next century and these sweet razors will keep my face Hollywood along the way. Stay well. Love your brushes. Happy New Year. Only a fool would still use them old razors. Ah yes, a worthy collection, indeed. I must admit, I have yet to see a razor that matches the beauty of the Gillette Aristocrat. And what a sweet razor, too.